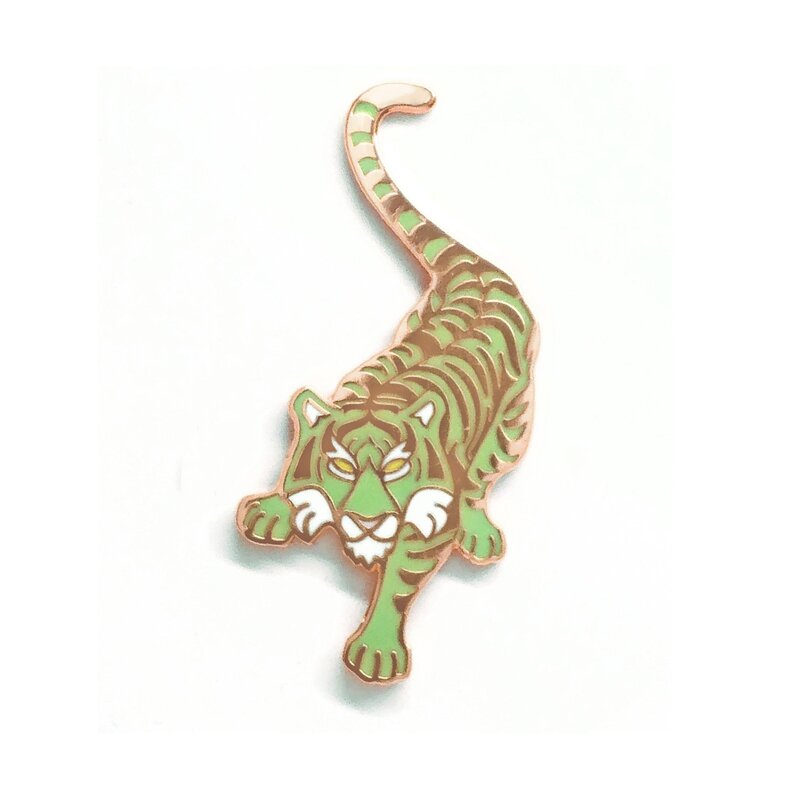 This beautiful hard enamel pin a minty green tiger stalking forward. The pale mint green against the warm rose gold metal make this pin a true pleasure to see in person. Please note: this pin is available in two quality grades: Firsts and Seconds. 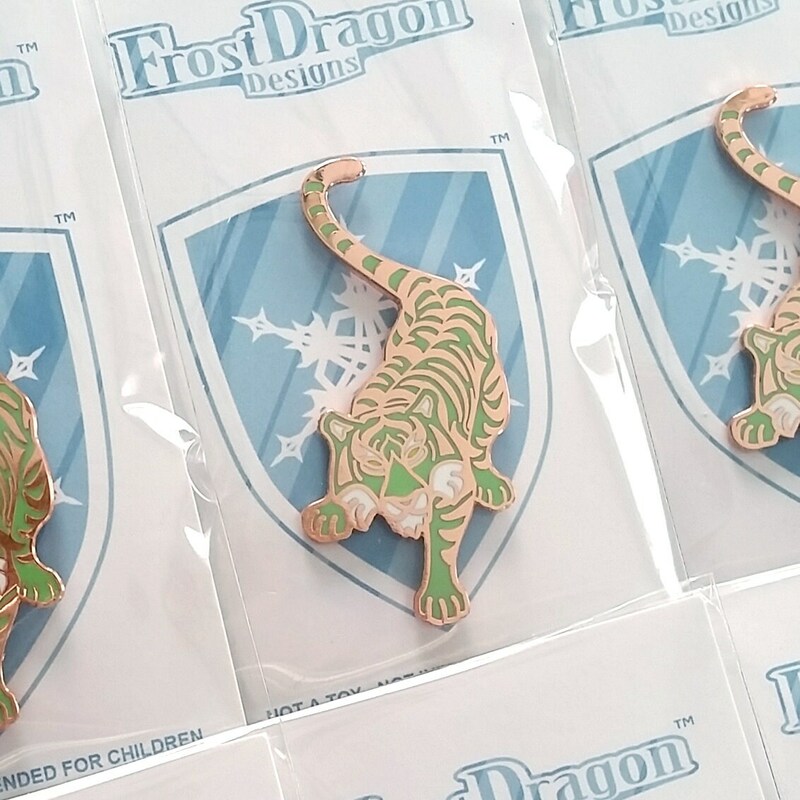 Firsts are the highest quality and have no or very minor imperfections, while Seconds have imperfections that could include low enamel fill in some areas, scratches, or other such imperfections, but they are still beautiful pins! I actually prefer Seconds for everyday wear on my messenger bag.